Onibaba was indeed creepy and cool; Amour left me melancholy, but didn’t trammel me the way I had anticipated; Key Largo was as good as recalled; 28 Up ran a bit long—especially as it included a lengthy recap of the documentaries in the series so far—but I’m happy to see these films back available on streaming; Ringu continued the trend of popular modern horror that fails to affect me at all; Lost Highway wasn’t much good but may have been kind of great; Solaris went on for an awfully long time, offered some meaty sci-fi concepts to a masticate, and has been successfully endured; and Nosferatu: Phantom Der Nacht, which I didn’t find as visionary as the original Murnau version, could have used more Klaus Kinski, and most likely a dancing chicken too. That leaves A Single Man. I think that one deserves more than a one-liner so I’ll write more about it some day soon. And Coraline, which refuses to come. Instead they sent me Black Swan. Am I enthused to watch this film? Well. No. But I’ve got eyes and they demand their meat. The Slugger’s Wife: Boasting a 0% approval rating on Rotten Tomatoes, this Michael ‘Caddyshack’ O’Keefe and Rebecca ‘Risky Business‘ DeMornay comedy is one of two Hal Ashby features I’ve not yet seen (the other is Second-Hand Hearts). It seemingly has no proponents, anywhere or anywhen. I found something to love in 8 Million Ways to Die though, so sign me up to watch this dog. I just love Hal Ashby. Now, who wants to buy me a copy of Second-Hand Hearts? 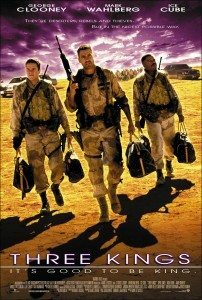 Three Kings: I recall loving David O. Russel’s Three Kings when it came out in 1999. 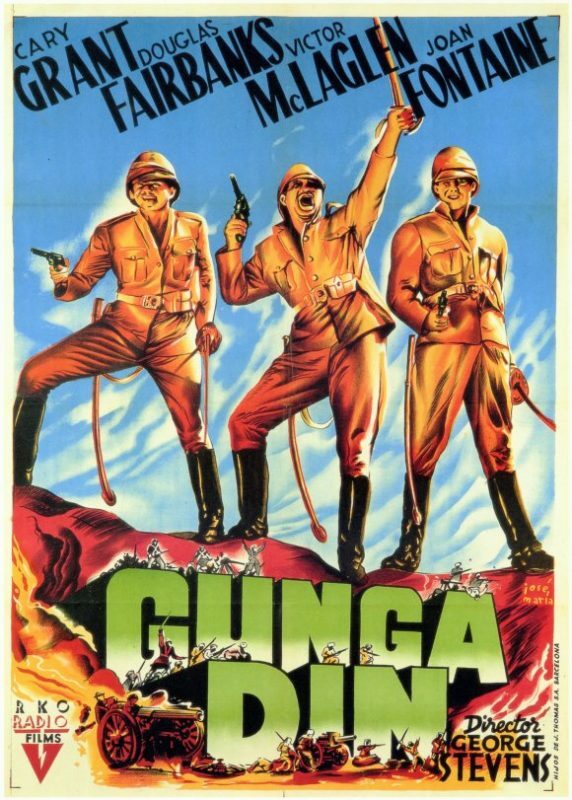 I’ve also been dying to write it up as a double feature with The Good, The Bad, and the Ugly as they’re both ‘a trio’s quest for gold amid war’ pictures. That’s not going to happen since Leone’s masterpiece is too long to watch with another movie, but Three Kings got in my head and now must be unspooled. 24 Hour Party People: I’ve seen a few Michael Winterbottom films lately and have grown to appreciate Steve Coogan’s dry style of humor. I don’t know much about the punk and pop Manchester music scene this film fictionalizes, but I suppose I will after I watch it. Or maybe not? Hopefully I will laugh some and wiggle my toes in appreciation. Hopefully I will not start blasting Joy Division. Cemetery Man: After a rousing musical interlude, one needs some zombies. 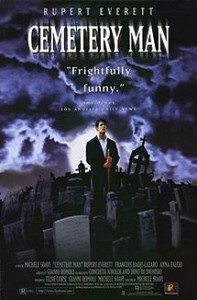 Dellamorte Dellamorte (as it’s alternatively known) is supposed to be on the high end for overlooked half-dead comedies. You may suggest that this is a fairly limited genre, but one can’t be too hasty. I will watch Cemetery Man and see if I agree with Marty Scorsese, who called it one of the best Italian films of the 1990s. Now quick—name another Italian film from the ’90s. 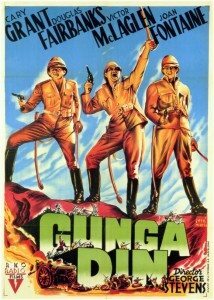 Gunga Din: Over the years, I’ve meant to watch the 1939 adventure film Gunga Din a number of times and never got around to it. Will it be hopelessly corny? Will Cary Grant and Douglas Fairbanks bring this Kipling poem to rousing life? Will it prove to be the clear progenitor of Indiana Jones and the Temple of Doom as is claimed? Stay tuned, gentle reader, to find out. They made good films in the ’30s, so I’m dusting off my Thuggee turban and covering my heart. 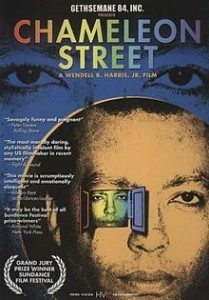 Chameleon Street: Someone, somewhere suggested I watch this 1990 Sundance Grand Jury Prize winner about a strange con man. I know little about it, except that Wikipedia calls it a satire based on the life of “William Douglas Street, Jr., who successfully impersonated professional reporters, lawyers, athletes, extortionists, and surgeons, going so far as to perform more than 36 successful hysterectomies.” That beats my amateur hysterectomy record by 36, so I’m going to need to step to it if I want to protect my reputation. Ikiru: Oh Akira Kurasawa! Why must you make so many movies that deserve watching? This one, based on a Tolstoy story, follows a Tokyo bureaucrat as he faces death. Unlike The Slugger’s Wife, it has a 100% approval rating on Rotten Tomatoes. Will it be a better film? I suppose you could trust every single critic on the internet or wait until you hear what I have to say. I will warn you that I have a tendency to be ornery. It’s probably because I’m ornery. 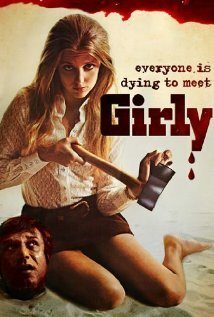 Mumsy, Nanny, Sonny & Girly: One of our regular readers suggested I check out Girly recently. I figured: families, axes, 60s hair-dos—what’s not to like? Plus, I like all ya’ll to know that I take your thoughts seriously. Unless they’re dumb. But yes, I’m going to watch Girly and then the Indian version of Othello that was also suggested. Eventually. Next time I’m in the mood for an Indian version of Othello. 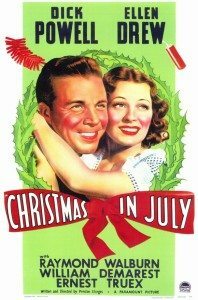 Christmas in July: Even longer ago, Supreme Being and I were discussing Preston Sturges movies. I admitted I hadn’t seen a number of his classic films and this is the last off that list. I’m both early and late for Christmas in July, but I bet it’s still good. It hasn’t gone off or anything. For the record, I didn’t love The Great McGinty overmuch. Palm Beach Story was aces. Neither was as good as Sullivan’s Travels or my favorite, The Miracle of Morgan’s Creek. That film has my favorite name of all time in it: Ignatz Ratzkywatzky. White Heat: I dunno, maybe you read something about it on the internets recently, but Breaking Bad just ended. People had all sorts of guesses as to how the series would wrap up. 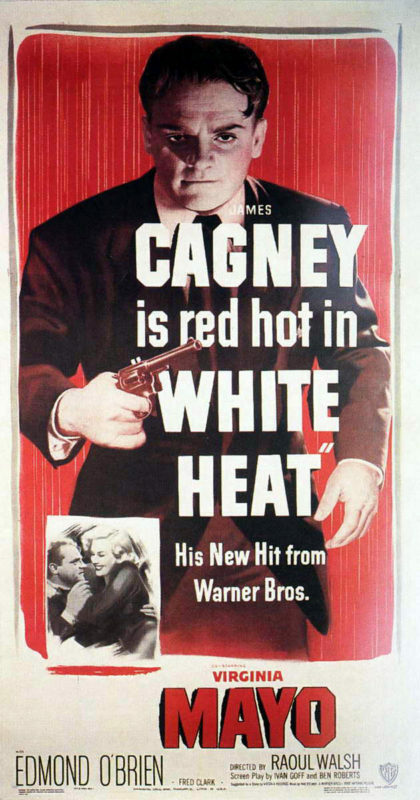 I wanted Walter White to go out Cagney style, like in White Heat. I’m honestly not sure if I’ve seen all of this gangster classic or not, but I can picture the ending clear as day. 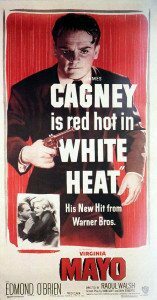 So, pouring one out for my other favorite W.W., here’s a screening of White Heat lined up. Made it Ma! Top of the world! And there you have it. Another top ten films I’ve yet to watch (recently) off my Netflix queue. Will I prove myself drawn to good films? To stinkers? To good stinkers? Probably yes. Also, before you ask, the reason I’m not writing about stuff on my streaming queue is A) they have crap to watch on streaming and B) I never watch the challenging stuff off my streaming queue. It takes the unblinking eye of a DVD, just staring at you from your coffee table, to get you to watch the good stuff. And The Slugger’s Wife. just notified that they’ve mailed The Slugger’s Wife to me. i’m sure it will be excellent. I’ve rewatched both The Innocents and Girly since I recommended them to you. (Just so you know I take my own recommendations seriously.) They both stand up extremely well on second viewing. I won’t say anything to qualify my initial recommendations, except that “jaw-dropping” might not be the best descriptor for Freddie Francis’s cinematography on The Innocents. “Jaw-dropping” makes it sound like there’s a lot of spectacle, but there’s nothing eye-popping about it. Gorgeous, yes. Remarkable and rare, yes. But more subtle than jaw-dropping. 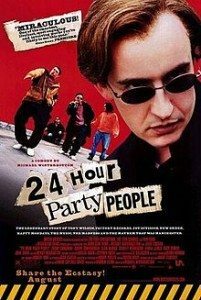 By the way, I saw 24 Hour Party People and it didn’t leave a big impression, but I think I enjoyed it. I didn’t get into Joy Division until well after I saw it, though. Actually, the more recent movie Control (2007) made me a much bigger Joy Division fan. I’ve been meaning to rewatch that one. 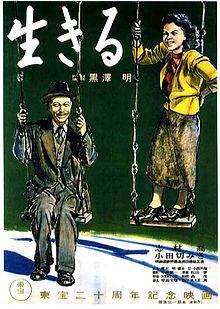 I watched Ikiru over the summer for the first time. (I was on a Mizoguchi and Kurosawa kick, sort of. I prefer Mizoguchi.) It has some wonderful elements, but it’s also kinda boring and the main character’s face gets annoying after a while. He just keeps wearing the same face. I should rewatch Cemetery Man. I remember thinking it was surprisingly good, but I don’t remember why. I guess it was very clever and inspired, but that’s very vague. I don’t have any desire to see Three Kings again, but I did enjoy it when it came out. I think Three Kings might be more interesting now that it’s less of-the-time. And since it was made before David O. Russell fell down the Hollywood hole. Although I’m curious about his American Hustle coming out soon.